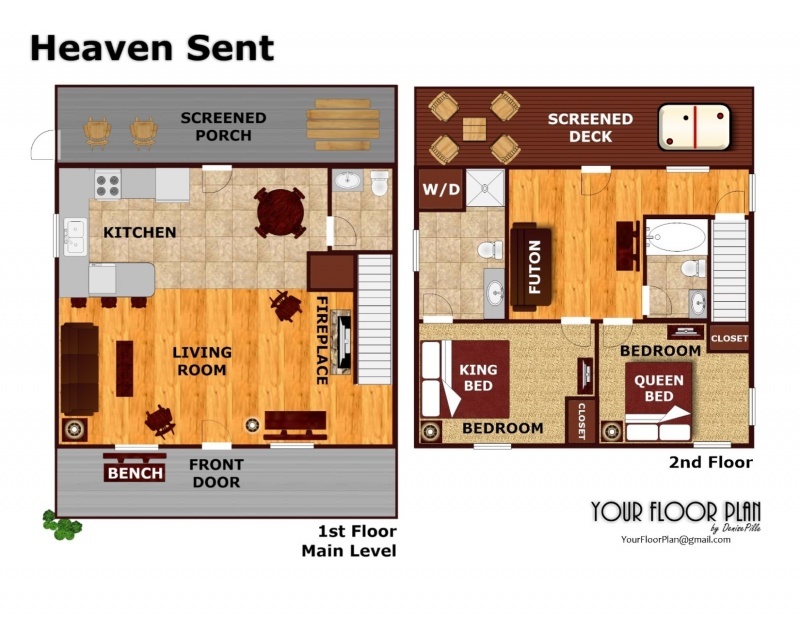 This cozy 2 Bedroom home has so much character and warmth, someone must have sent it from up above! 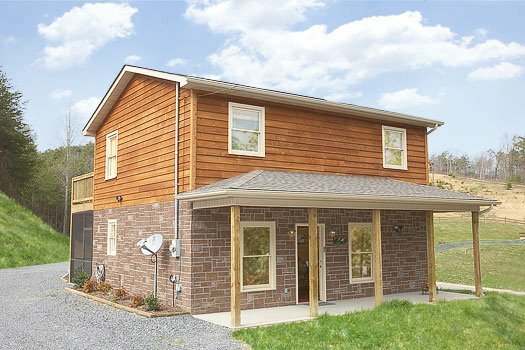 HEAVEN SENT is a CLEAN NEW cabin conveniently located a mile off the parkway in Pigeon Forge, so there are no mountain roads to traverse and plenty of charm to enchant you! 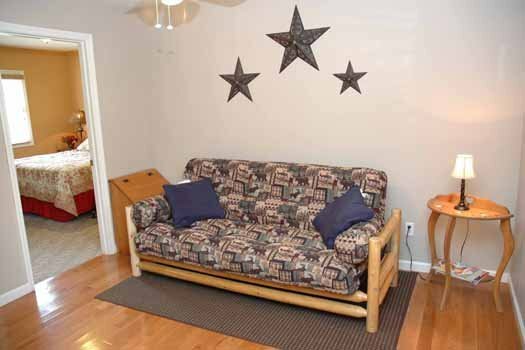 Featuring a roomy living area with a gas fireplace, LCD TV with VCR/DVD combo, and a queen sleeper sofa. 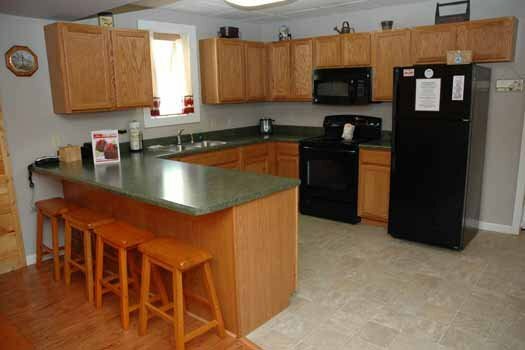 All adjacent to the fully equipped kitchen and dining area with seating for 7 at the table and breakfast bar. 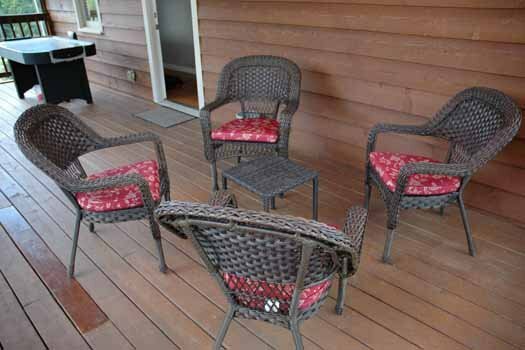 Out back you'll find a screened porch with gliders and rockers to enjoy a peaceful sunset or your morning coffee. 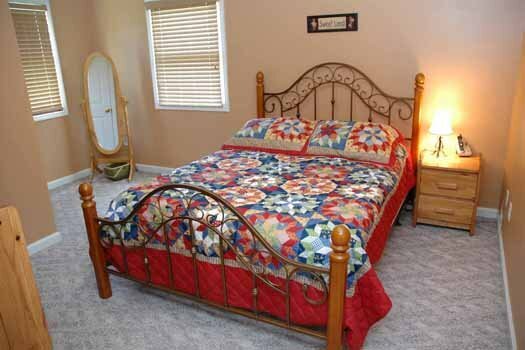 The second bedroom features a queen bed and LCD TV. 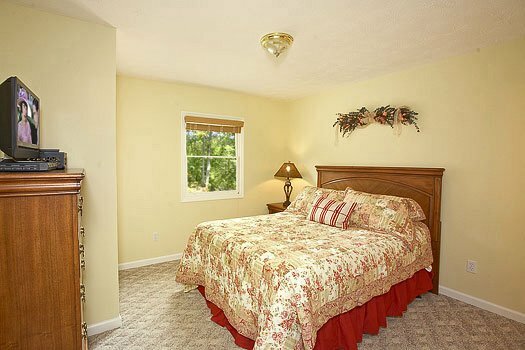 The master bedroom is decked out with a King size bed and LCD TV. 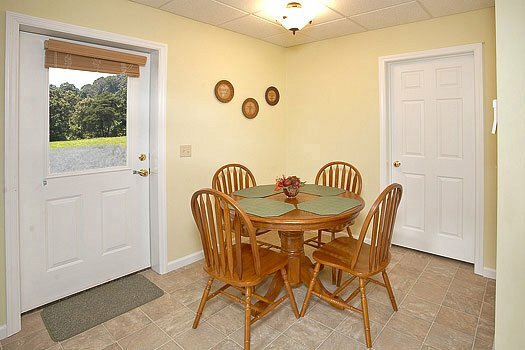 Tastefully decorated and situated on a large level lot, this is the perfect family Getaway spot! Won't you come to the Smokies and experience what HEAVEN SENT us, today? Love this cabin!! Will be staying again! It was absolutely gorgeous! 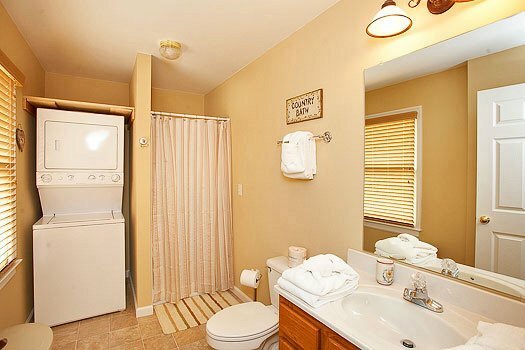 It was very clean and exactly as the pictures portrayed. I wish it had a BBQ grill. 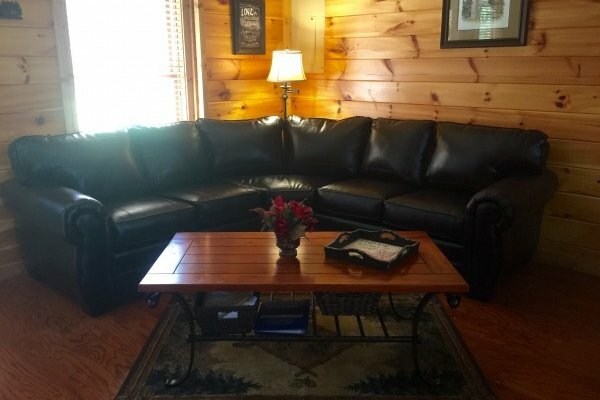 This bwing my first time renting a cabin, I was thoroughly pleased and will be renting this property again. Heaven sent was awesome. Would definitely stay there again, but would like to try other cabins also. Hopefully will visit again next year. Great location although directions were not the best. We had a little trouble at first as the landmark given for the turn off the parkway was no late beer there. Otherwise it was wonderful. Cabin was very clean and comfortable!!! We stay in pigeon forge twice a year. This is the first cabin that we stayed in that felt like home. All the other cabins (different company) have had some sort of issue. This one was perfect. We will hopefully be booking this one again next October. Beautiful cabin. We were more than satisfied. Great location. Loved the yard as well. Hated having to leave. 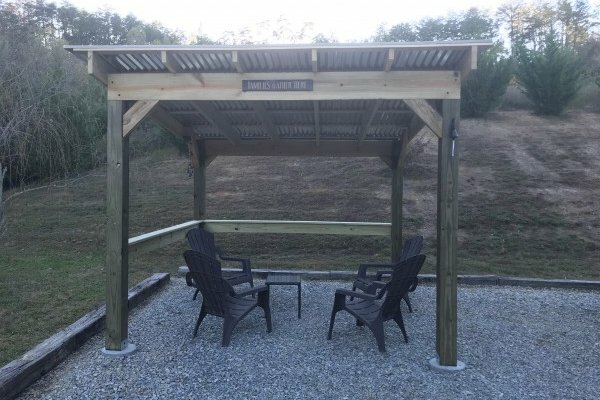 Great property in an excellent location. Far enough off the main roads for peace and quiet but close enough to hit just the right restaurants and get to Dollywood. We were able to do everything we wanted without sitting in a lot of traffic. 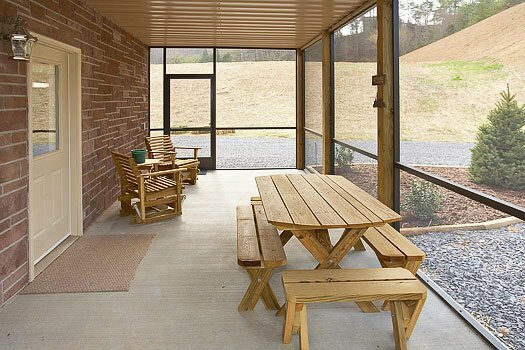 Loved the stay as always with Patriot Getaways.This property was located in an easy to find and not to far off the parkway location. 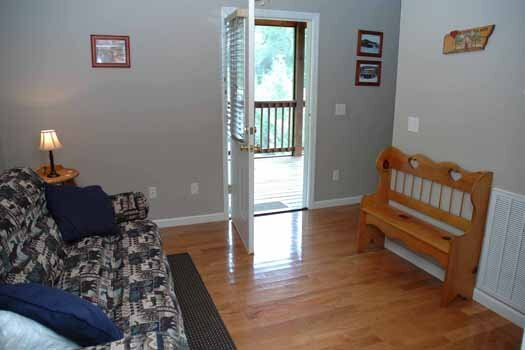 Heaven Sent is a great cabin and is in an excellent location. We enjoyed our time in Pigeon Forge. Because our cabin was so close to the parkway it made it easy to come back to relax before tackling another activity. Our only complaint is that the lock boxwas very difficult to open and close. Probably due to much wear and tear. That was frustrating but did not take away from our time we enjoyed there. We felt "at home" in this cabin and everything we needed was available here. The comfort level was very good and relaxing. The furniture was of good quality and the decorations (pictures and plaques) were appealing. Also, the paperbacks in the library case was a neat idea. The only thing that wasn't great was the low number of TV channels available that were actually "movie" type channels. 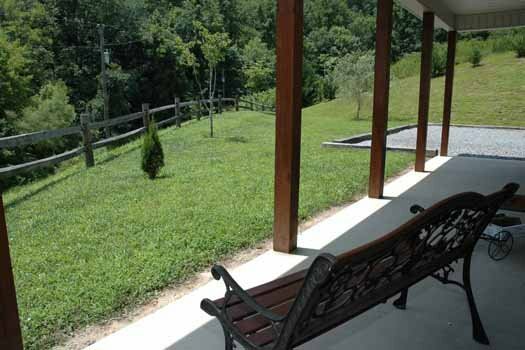 It was also at a very good location with plenty of privacy, easy to get to and near the main road (Parkway). We lovedit. Only wish master shower would have been a little bigger. Other than that,place was awesome!!!! We did not spend too much time at the cabin as we were very busy seeing many of the sights, but the cabin was very nice and well kept. We had plenty of bathrooms and TV's for all ages. Thank you to the staff in assisting us on getting the extra days andmaking our trip so enjoyable. Best cabin we have ever stayed in. Only problem, why do you have only a 4 cup coffee maker? I brought 12 cup filters because every cabin we have stayed in had a 12 cup coffee pot. 4 cup is useless. Amazing cabin! The pictures don't do it justice. It's very private and peaceful! Perfect for a large group or just a family of 4. 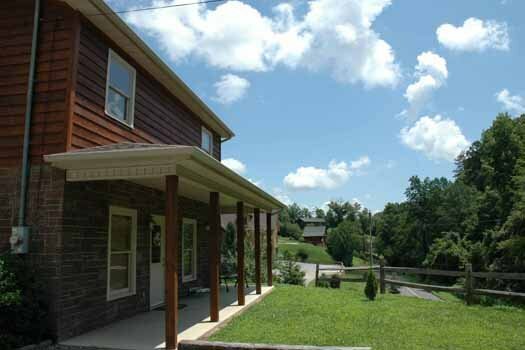 No mountains either and your only 10 minutes from downtown pigeon forge. I'm very thankful that i was able to get this cabin. the cabin is very cozy and 8 people can sleep comfortably in it. 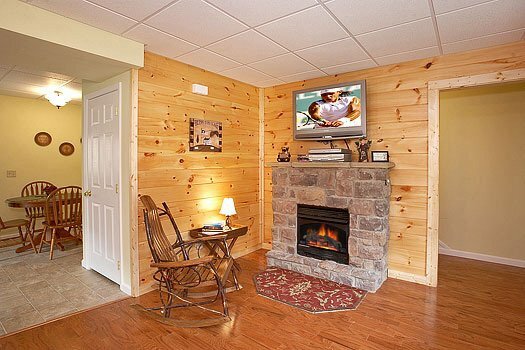 I recommend this cabin for anyone looking for a valuable stay. This was probably our 6th time staying at Heaven Sent and we consider it our second home. We been staying with Patriot Getaways for many years now and plan to stay many more. 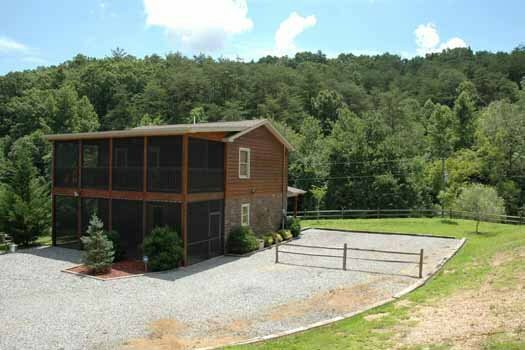 Heaven Sent is conveniently located just 2 miles off the Parkway but it seems like you are way out in the mountains. 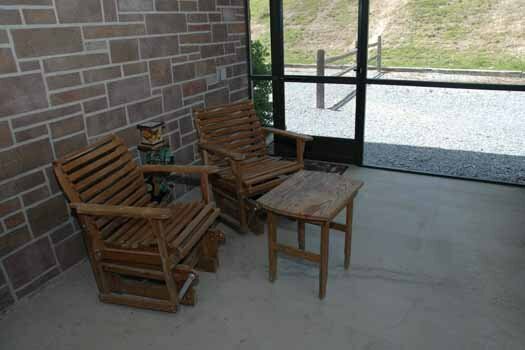 It is so quiet and peaceful and just the perfect place for a couple or family. This was our second trip to Pigeon Forge this year and as my wife and I were celebrating our 37th wedding anniversary, there was no better way to spend it then at the Heaven Sent cabin. Thanks Patriot Getaways for making our special day even better! !